How can I create a weather station that it is neither valuable nor attractive to a thief? How can I keep hardware costs and development time to the minimum? How can I measure and access weather data in real time and display it in a useful way? Connect station to Internet. Store and retrieve local weather data. Communicate between weather station and server. How can I reduce maintenance to (almost) zero? Couple the ESP8266 with one of the inexpensive DHT series digital temperature and humidity sensors and we have a project that may literally be deployed anywhere to broadcast sensor data. 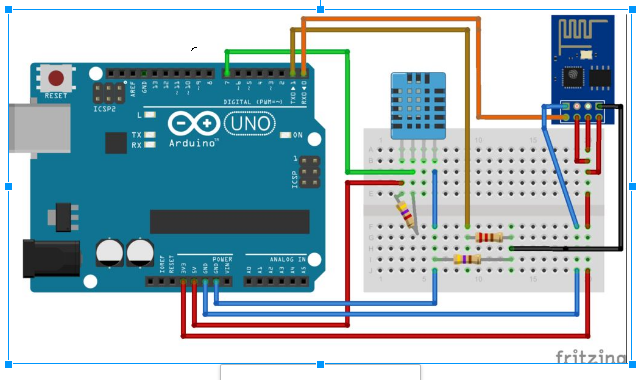 The broadcasting used in this tutorial is using the ESP8266 webserver code and respond to web requests (like in a browser or a web client) to return temperature and humidity data (in a REST type format). This project demonstrates the programming of the ESP8266 ESP-01 module with the MediaTek LinkIt™ Smart 7688 platform and interfacing with a DHT temperature/humidity sensor. Using other sensors and their corresponding libraries, other electronics may be interfaced with the ESP8266 and monitored via WiFi.